There’s me thinking, “Oh dear I haven’t got a post for blogmas planned for today, will have to write something when I get home from work.” And what do you know, the first trailer for the next Avengers film was released earlier today and I have a lot to say about it. First of all, beware spoilers for Avengers: Infinity War and Ant-Man and the Wasp and my thoughts and predictions on what might happen in Endgame – which probably won’t be in any real order and I’ll have probably forgotten some stuff. I loved this trailer, and to be honest I think it’s going to be the only trailer for the film I watch. I want to know as little as possible before seeing this film. I loved the way it started with Tony seemingly alone in space (I say seemingly as he’s going to be with Nebula and my hopes that they will bond in space and become besties haven’t been dashed yet) leaving a farewell message for Pepper. His message makes me so sad, he’s one of my favourite characters and he’s been through so much. He had nightmares and suffers from PTSD from his first trip into space, and now he’s stuck floating through space, running out of oxygen. There’s a sort of symmetry with the trailer starting with Tony as he is the character that started the entire Marvel Cinematic Universe. I predict either Carol, aka Captain Marvel, will find and save Tony and Nebula as she’s on her way to Earth to answer Fury’s message, or Pepper is going to come to Tony’s rescue. I think it could be Pepper mainly because of Tony’s use of the word “Rescue” as that’s the name of the armour Pepper has worn in the comics. I love that Clint is shown in the trailer, especially as I spent so long trying to spot him in the Infinity Ware trailer and he was never there! It looks like he’s taken up the role of Ronin which means that his family has almost certainly turned to dust. I predict a very different Clint Barton to what we’ve seen before, and I’m looking forward to seeing how he fits in with the rest of the Avengers that are left. When Bruce looked at the wall of missing heroes, aka people who may have turned to dust, Shuri was on there! That was a surprise and then leaves me wondering if she has turned to dust, or is generally MIA, who’s now leading Wakanda. Okoye and M’Baku both survived Infinity War so maybe between them they’re trying to keep the country together? Also, because none of the heroes on Earth know what happen to Tony, does that mean his face is going to be on that wall of missing people? Because if it is I’ll probably cry. But then it makes me think about how all those who are still alive, Thor, Steve, Natasha, Bruce and Rhodey, will react when Tony does get back to Earth presumably with Nebula and Carol in tow. Then there’s the ending with Scott! I have so many questions right now about him. How the hell did he get out of the quantum realm if everyone who knew where he was turned to dust? Does he know what’s happened to the rest of the world? Because he’s quite cheerful if he does! What about his daughter? I really liked the vibe this trailer gave off. Here’s a bunch of heroes, the original Avengers, all at their lowest point, but they’re still going to try and find a way to fight. I love that it doesn’t show that much, mainly just shots of the characters, and that there’s no real scenes of action. I don’t need that. I know I’m going to see Endgame as soon as it’s out and I know there’s a good chance I’m going to love it. These characters have been a part of my life for 10 years now. I’ve written two dissertations on Marvel Studios. My love for these characters and this whole universe is a big part of me. And while I know there’s a good chance that some of these characters will die – the most likely of them being Steve and/or Tony – I don’t want them to. Even if at the same time I think that narratively speaking it might be kind of poetic if they do die, especially Tony because as I said, he started it all. There’re rumours that there’s going to be a trailer for Spider-Man: Far From Home released soon, but I’m not going to watch it and do my best to avoid everything to do with it. Like, I know that everyone who turned to dust is going to come back somehow, so it’s the how that’s interesting to me, but I still don’t want to see a trailer of Peter Parker swinging around all OK. 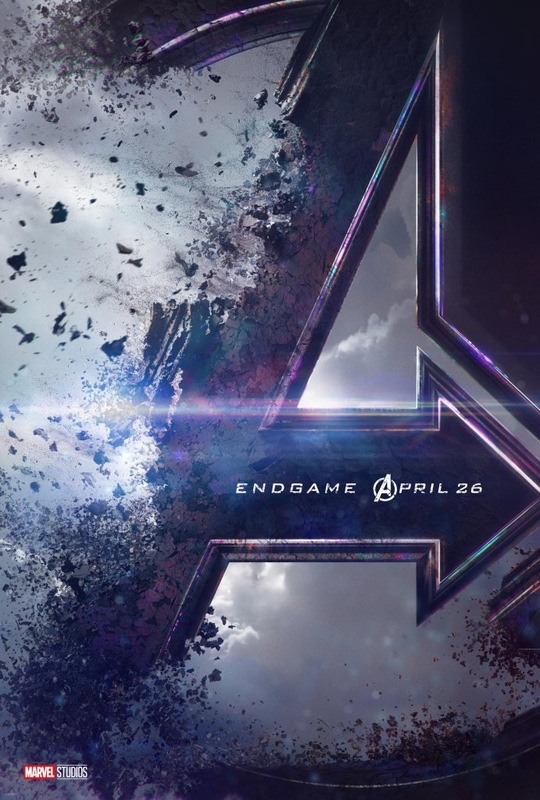 If you’ve watched the trailer for Avengers: End Game, do let me know what you think. I definitely feel the MCU won’t be the same after this film. After this, it’ll be the start of a new roster of “Avengers” and the older ones take a step back, in whatever shape or form that may be. I was just talking to a buddy and made the same comment about if Tony was the one to sacrifice himself in someway and die in this movie, it would be a good way to close out the current iteration of the MCU since he was the one who started it (because you know Phase 4 is going to be way different). I’m excited for this. I love that Clint is in his Ronin costume, I love that Thanos barely glimpsed at, and I can’t wait to see how the heroes rise up from their lowest low. I hadn’t thought about the Rescue wording. I did notice that when Cap was talking about ‘we all lost someone’ is when the camera was over Clint so I agree that he probably lost his family in the snap. Between Captain Marvel, this, and Spider-Man: Far From Home, 2019 is going to be epic for the MCU! I don’t want Tony to die as he’s one of my favourite characters and I’ve loved his story arc but I can’t deny it’d work out well in terms of the arc of the MCU. Plus Strange sacrificed the Time Stone for him so he must do something vital. I’m so excited for this! I actually had a hard time concentrating at work today from thinking over the trailer and what it could mean! I can’t wait to see this film! But I’m so nervous. Haha! Same! I’m worried it won’t live up to my expectations, but Infinity War blew me away so I’m hesitantly hopeful.